Neolith has taken the stone industry by storm. The new innovation of this compact surface has gained popularity over it’s natural look, yet durable for the everyday use in many different projects. Neolith is a revolutionary compact surface that combines high performance specs, trendy colors, large format and variable thicknesses that will provide solutions for every possible application (counter tops, flooring, bathrooms, paneling, cladding, facades). Neolith does not scratch, does not stain, is heat and fire resistant, and, thanks to the extremely low absorption rate of technical porcelain, ideal for food contact and processing. The 3 mm board is only 7 kg/m² and the 12 mm board, 30 kg/m². Resistant to scratching and abrasion due to the hardness of the surface. Resistant to chemical cleaning agents. A high modulus of rupture. Resistant to high pressure and weight loads. Does not release harmful substances. Completely suitable for contact with food. Due to the hardness of the surface. Resin-free. Does not release any harmful substance into the environment. Waterproof and liquid-resistant. With an absorption level near zero. Up to 52% of any Neolith board is comprised of recycled raw materials. 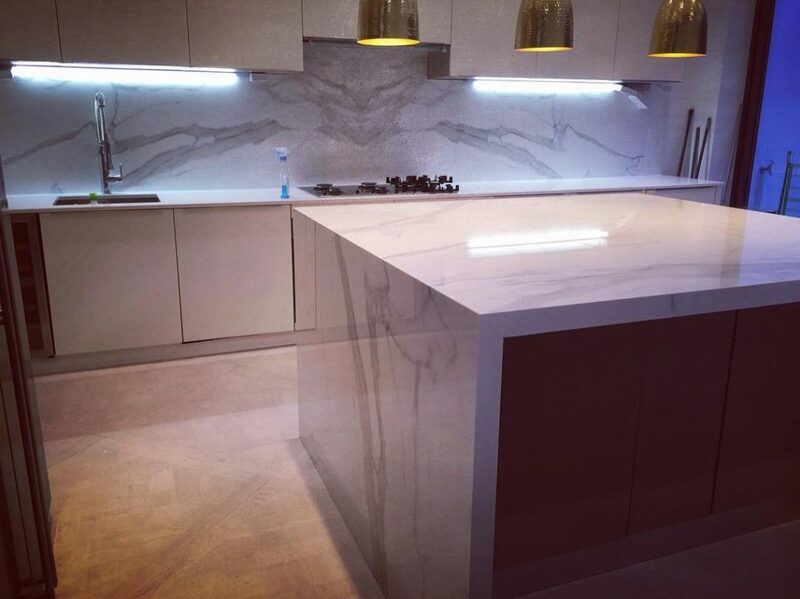 KML provide Neolith, Marble, Granite and Engineered Stone Surfaces in London and surrounding areas. If you are looking for a perfect, yet affordable worktop supplier, call us now on 0203 150 1198 or simply click here to contact us. We have a wide variety Marble Granite Quartz Worktop Swatches on show in ‘Stone Types’ to view. For inspiration and/or ideas, please feel free to browse ‘Our Projects’ page.